How do I get people to notice my entity or business after I register? - People will notice your business, but not much will happen unless you purchase and post Job Boxes℠. What else does FlipSetter require for a business or entity to complete registration? - You are required to provide your EIN, DUNS, CAGE Code and/or VATIN which are used to verify that your business is legitimate. After some time of activity on your business account our tech support team will then send you a message that you're able to remove your employer identification information. However, keep in mind that we will still have a record of it kept by our legal team. What is a Job Box℠? - The Job Box℠ is our branded job application system as a digital box that lets the owner of a company post jobs on their business page when they have positions to fill. An applicant takes his or her portfolio, drops it into the box and "ships" it out for the employer(s) to view and evaluate. A Job Box℠ is specific to every job position that the company would like to have filled i.e. staff employee, electrician, maintenance, accountant etc. Where can I get more Job Boxes℠? - Once you're logged into your business account, go to the "Post Jobs" button and the wizard will guide you on how to purchase more of them. Who else can access my Job Boxes℠? - At the moment nobody else other than the business owner can access the Job Boxes℠. However, every FlipSetter account is a standard user by default. If the user decides to become an employer, he or she must create a business page on the account and switch to that business account. If the employer switches back to his or her default user account then they can't access the Job Boxes℠. How many businesses can I have? - At the moment, FlipSetter pemits you to add up to 50 business pages to your account. However, for every business page you must provide your EIN, DUNS, CAGE Code and/or VATIN each time for us to verify that your business is legitimate. Meaning, if you add 50 business pages to your account then you must provide this EIN, DUNS, CAGE Code and/or VATIN information 50 times. As mentioned above, over a period of time our tech support team will let you delete this information, but will be received and accessible by our legal team. How many Job Boxes℠ can I have on my page? How much does a Job Box℠ cost? In addition, if you want to extend your job post time length past 30 days then FlipSetter charges you ($0.33 / week) per box. You can add up to 12 weeks allowing your job post to last up to four months. Each Job Box℠ can be modified to last different time lengths that you would like, but the maximum time length that each Job Box℠ can be active is four months regardless of you buying in bulk or increasing the number job positions you want to fill because each Job Box℠ acts independently from each other. - No, FlipSetter does not issue refunds. You will not be refunded for any unused time for your job posts, or if the job is no longer needed. If you find that your job post(s) have been completely fulfilled then you will receive an alert notifying you that all of your job positions have been filled. You may archive your job post after, but if you find that you need more positions to be filled after your previous Job Box at that time then you will be required to purchase another one. Do I list a Job Box℠ per person, or do I list a Job Box℠ per job? - You list a Job Box℠ with any number of positions available for that job. The people listed in a FlipSetter business page are staff members. For example, if you have two positions available in your company for "Accountant" then you only need one Job Box℠ and tell the wizard that you have two positions open. If I already have a business and I purchase Job Boxes℠ do my staff have to reapply to them to be added to the Staff List? - No, they do not. When you setup your business page(s) for the first time we have an Staff List that is built with an email invitation system that lets you invite your already existing staff into the company page. ***Your first email batch is free when you create a business page. All following invitations will consume invite credits you purchase. Once all of your staff have accepted your invite and have been added to your Staff List then we translate them into regular users by changing their IDs. So, if an staff member decides to leave then you simply go to your Staff List and remove them. This system applies to every business page that you add on your account. Is everything I post on FlipSetter secure? - Absolutely! Everything on FlipSetter is secure. Whether you decide to update your portfolio, upload pictures, PDFs, confidential documents and/or other important items they are all secure because our hosting is maintained by Amazon Web Services (AWS). We do not require you to post anything on our site; but if you do then we guarantee with our Secure Socket Layer (SSL), and other security protocols that your information is safe. To further secure your information, you can have your profile as public or private, and only you can download or upload files on to your profile. You can also limit viewing access to your Portfolio and allow certain members such as employers or friends to see them. What measures do you take to secure FlipSetter? Secure Socket Layer (SSL): A crypto protocol design to provide secure communication on the web. Applications can also include web browsing, e-mail, faxes, instant messaging and others. Firewall: A crypto code that prevents outside hackers from penetrating into FlipSetter. Database Security: Software that prevents malicious code from breaking database and personal information. Antivirus: Software that detects and sweeps viruses, worms, trojans, bots and spyware. E-mail security: Software that monitors incoming e-mail and outgoing e-mail to and from FlipSetter. How will I know if I got accepted to a job offer? - You will receive a message in your user dashboard in which you accept or deny the job offer. You will also be notified in site and through your email. Can I share my portfolio on other social media pages? - Yes. We encourage you to share your FlipSetter portfolio on LinkedIn, Twitter, Facebook, Pinterest, YouTube and other social media sites. We encourage all of ours users to always stay connected with everyone. Keep in mind that your portfolio is only visible to those with permissions based on your account privacy settings. Can I share my Job Boxes on other social media pages? - Yes. However, under our Terms and Conditions FlipSetter does not allow anyone to post third party links from other websites when you post your Job Boxes. You may post your Job Boxes everywhere online to boost your volume of applicants, but you are not permitted to post any third party links that aren’t relevant to your job posts. In doing so, your job posts may be subject to be taken down. How do I get in contact with FlipSetter for problems with my account? - Go to our Contact page Here . Fill out your name, email and be very thorough with your issues on FlipSetter so we can better assist you. - Go to your Settings page and click on Profile Options. Then click the Deactivate My Account button. WARNING: If you decide to close your account and for some reason want to reactivate it later, then you have 60 days from the day you deactivate. FlipSetter archives all of your account information for both business and user accounts, and you have up to 60 days from the time you deactivate to decide if you want to resume your account or permanently delete everything from our database. If you re-register then all previous information, documents, pictures, networks, jobs and other input fields will be saved. After the 60 days our support team will send you an email saying that your account has been permanently deleted for both user and business accounts if you have them, as well as previous information, documents, pictures, networks, jobs and other input fields from those accounts. How do I make my profile Private or Public? - Go to your Settings page and under Privacy Settings you can limit access to your profile to specific networks of people. How do the privacy settings work? Do I get screened on FlipSetter while I am applying for jobs? - Not at the moment. Log in directly through FlipSetter, click on a Job Box of your interest i.e. manager, waitress, cashier, clerk, etc. and upload all required information on our application. *Before you can apply for a job(s) our website requires every user to answer and submit a detailed questionnaire that is used by our team to ensure that any submitted portfolio is honest, not abused, not falsified and provides the job efficacy it is supposed to when employer(s) are posting jobs. What is the questionnaire, what it does and why is it required? To experience a complete way to showcase their skill sets. 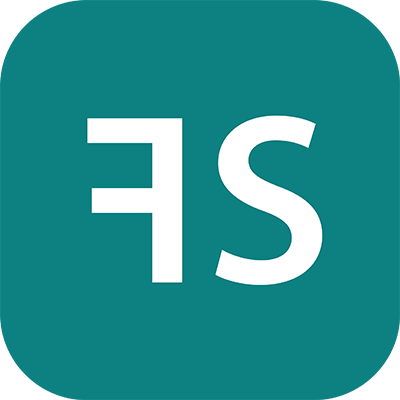 FlipSetter asks everyone to be honest and keep their portfolios clean because at the end of the questionnaire we have a legal disclaimer that states “Denial of Liability,” an e-signature and that we are authorized to file any complaints against an applicant(s), suspend any accounts and deny job acceptance if companies on FlipSetter have any issues. *All portfolios and questionnaires will be reviewed by our legal team before and during all users apply for jobs. Does FlipSetter administer drug tests? - Only if you work at FlipSetter. What do you charge job seekers when they apply for jobs? - Users can register, search and apply for jobs for free. Can I add more staff members into my Staff List after I sent out my first batch of invites? ***What FlipSetter deems as Current / Existing is when you create a company page on FlipSetter, a timestamp (date and time in which you created the business page) is issued, and that is when the timing of your list starts which helps us differentiate between current and future employees. ***Your minimum purchase must be 25. We price these invites at multiples of 25.